The purpose of a lube oil system is to provide lubrication to rotating equipment to lubricate and cool hydrodynamic bearings. 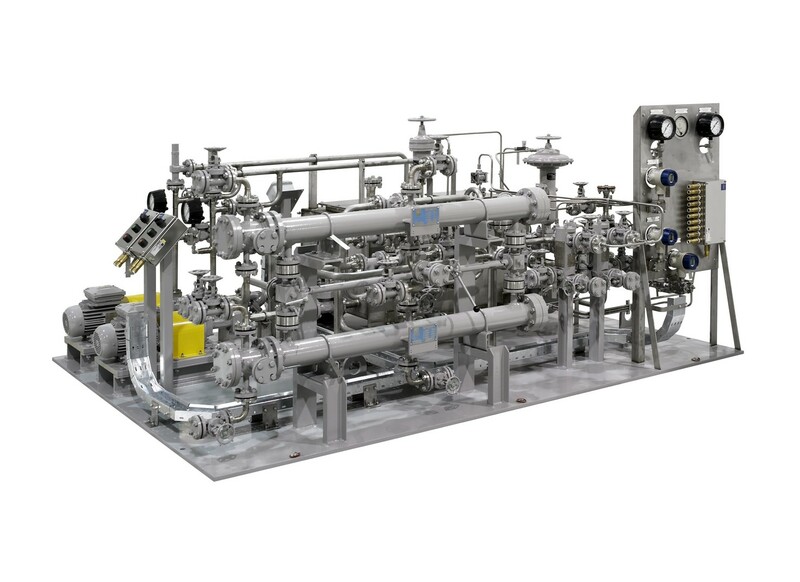 API 614 systems can be utilized in the upstream, midstream, and downstream sectors of the oil industry. Lube oil systems that meet the API 614 standard operate at an extremely high level of efficiency, which decreases the cost of operations and decreases the downtime of rotating equipment. Therefore, they are extremely important for ensuring a long and trouble free life for your rotating equipment. API 614 lube systems can be used with various types of equipment such as turbines, high-pressure pumps, centrifugal compressors, steam turbines, gear boxes, electric motors. For more specifications on our systems please visit our products section.